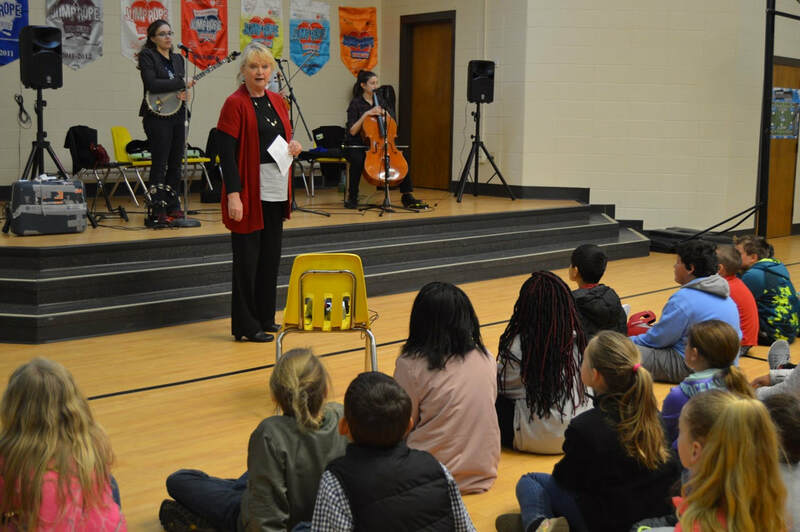 Board member Debra Khouri introduces Harpeth Rising to the students at Fred Anderson Elementary outreach event. 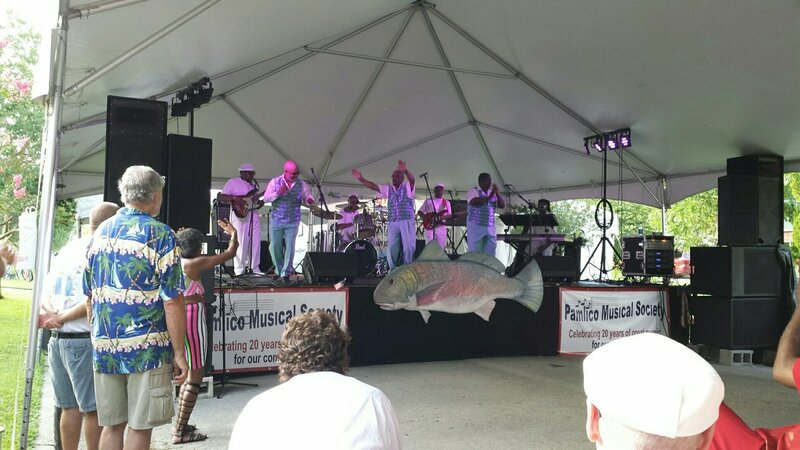 Lisa Thompson introduces the Quebe Sisters at the Outreach event at the Bean on October 20 2017. 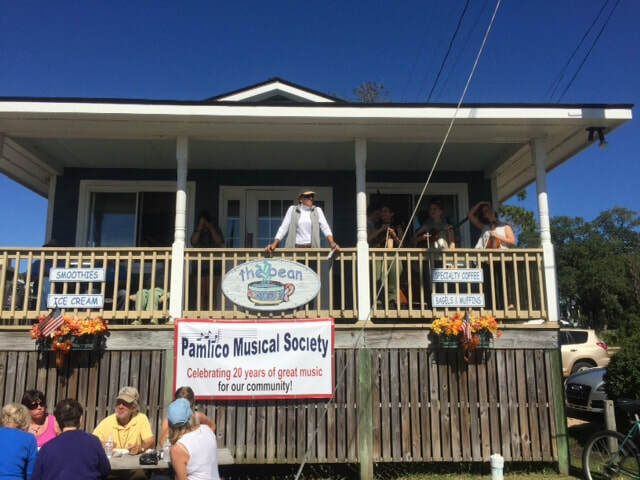 The Pamlico Musical Society sponsored the Main Stage at Croakerfest 2017.